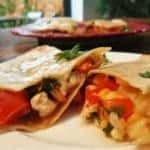 You can’t beat a good Fakeaway, especially one as easy to make and delicious as this one! Whether you make these two recipes separately or together as I did, you won’t be disappointed! 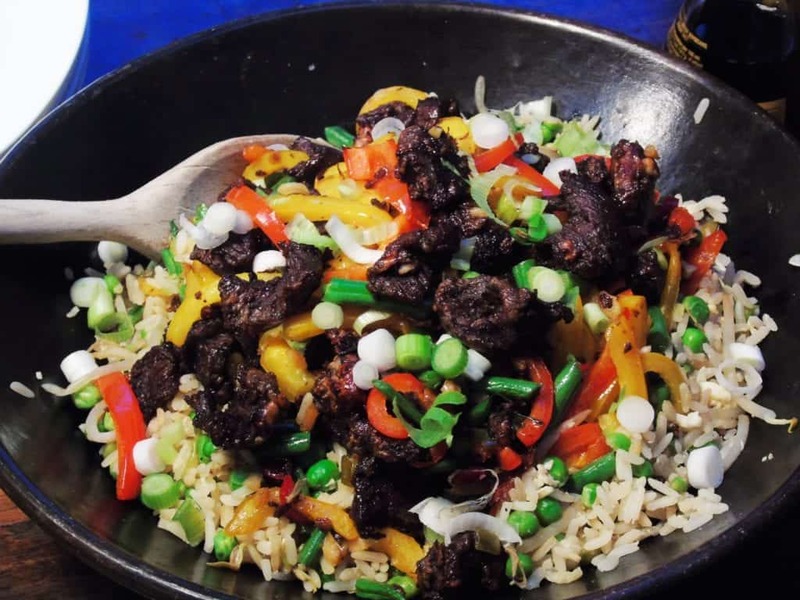 Not only am I giving you two recipes in one here, but I’m also giving you two methods to make your crispy shredded beef – one in the oven and one in a Tefal Actifry…I know I’m too nice 😉 The recipe feeds four, and the egg fried rice is completely syn free, whilst the crispy shredded beef is only 1 syn per person! Fakeaways are one of the best things about being on Slimming World! 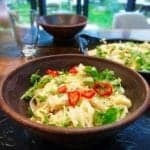 Unlike so many other diet plans, you can eat rice and noodles, which means you can perfectly imitate (and often improve on) your regular takeaway. 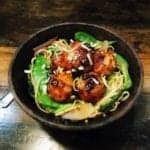 On this occasion I was really fancying a Chinese, and so I came up with this to help put those cravings to bed…and boy did it work! We tucked into this as a family, hence serving it all as one big dish, and everyone loved it! I think one of the best things about a takeaway is the communal element of it, and this really captured that whilst also totally satisfying my need for ‘naughty’ tasting food! Another great thing about fakeaways is that you can dictate how much speed food you include, and make sure to have your third of a plate (or there abouts anyway). 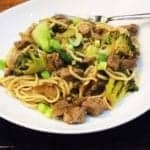 In this recipe, you therefore don’t only have delicious shredded beef but you’ve also got tasty peppers and beansprouts, as well as the peas and beans which are added protein and still obviously vegetables! 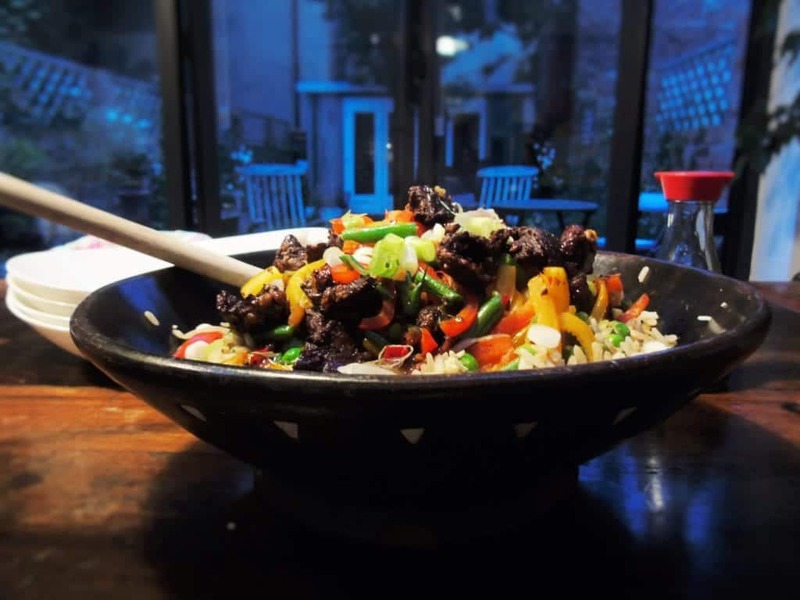 You might end up with a few more veg than you would do in your average option from the Chinese, but that’s only a good thing, and what’s more you’ll feel completely in control as you eat it! As with most of the other recipes I write, this is one that can be adapted to fit your personal tastes. For example, if you prefer your egg fried rice more sticky, then all you have to do is pick a slightly stickier rice. I used long grain white rice, which cooks quite loose as that’s how I like my rice, but it’s entirely up to you! Ditto if you’re not a fan of spring onions then you don’t need to include them, or just use less. One of the comments I often get is from people who prefer slightly more or slightly less of something in the recipes I’ve created, and I always tell them that that’s totally fine! 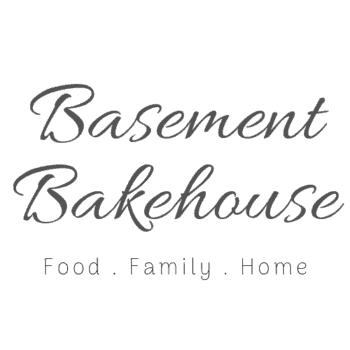 I’m not here to tell you how you HAVE to cook, I’m here to help you learn and discover new flavours and techniques and give you guidance on how you can cook those things. Of course there are some recipes which have to be me made just as the recipe says, but on others I encourage you to play around with the quantities and learn how you like to eat and make things! The beauty of Slimming World is that it encourages people to cook at home, and learn things that they’d previously have never considered learning! 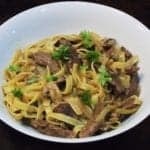 So please, don’t think that you have to make my recipes exactly as I write them if that’s not to your exact tastes, I’m just hoping that I can give you some inspiration, and show you one way to try (or in this case two!). 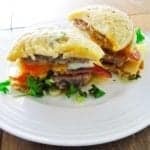 Ever since starting Slimming World, I’ve been dying to try an Actifry, because I see how many other people love them and how useful they can be for cooking fun, interesting and delicious meals without the fat! 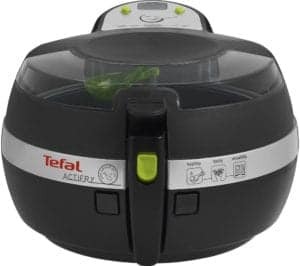 So I was delighted when recently Tefal got in touch asking me to try one out. I’m going to be posting a full review of it soon, but in the meantime if you have one your self (or want to get one which you can do here), then you can use the Actifry method I used for this. If you don’t have one, or you can’t wait to try this, then I’ve also tried it in the oven and it works very well too (although I do prefer the Actifry version as I find it goes more crispy)! You can always pick up Actifrys on offer on Amazon, and there are slightly cheaper options (although by all accounts they’re not as good) – click the picture below to search Actifrys and Airfryers on Amazon, or click here. 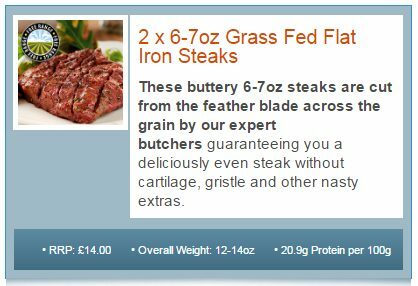 Steak can be expensive, however this recipe is very very cheap to make if you use the Muscle Foods Flat Iron Steaks, which are 73p (RRP £14.00) in my Muscle Foods deal. All of their meat is also completely lean, really high quality, not pumped full of water and additives and melts in the mouth when cooked. I’m not just saying that, I don’t cook with anything other than Muscle Foods meat and I wouldn’t do that if I didn’t 100% believe in their quality! 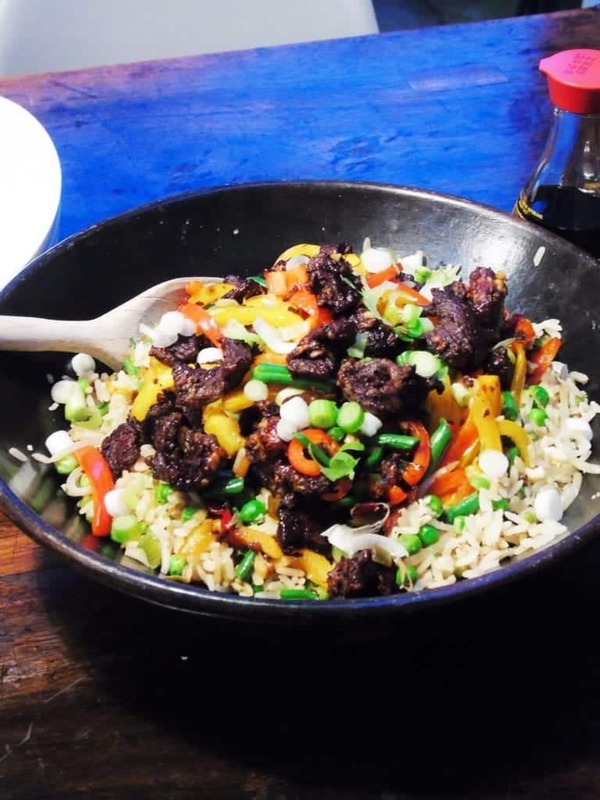 Crispy shredded beef for 1 syn with completely syn free egg fried rice! 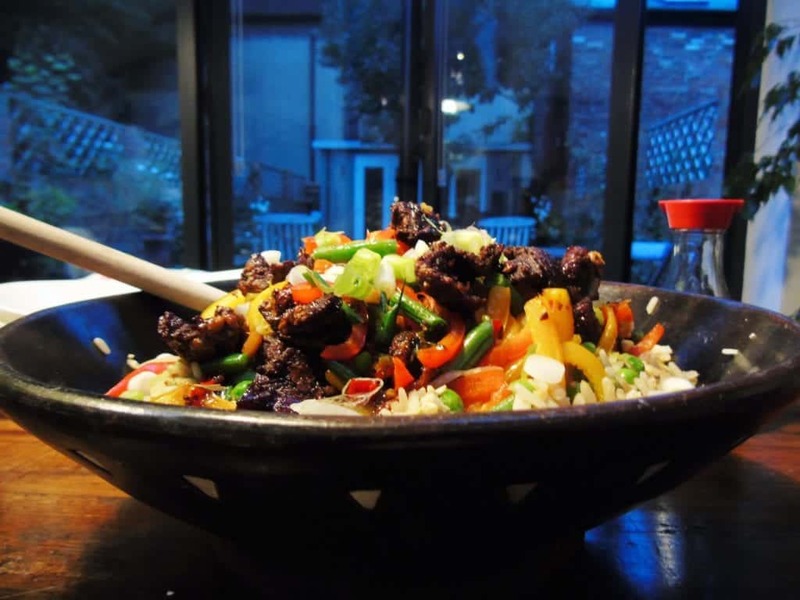 To Make The Beef in an ActifrySlice the beef into thin strips and season with salt & pepper. Put the flour in a zip lock bag or bowl, with half a teaspoon of five spice if using it. Whisk the eggs in a bowl and dip in each strip of beef. When the beef has all been egg dipped, put it into the bowl or the bag and either shake the bag or stir it around in the flour in the bowl. It will go a bit gloopy but this doesn't matter as you're doing it in the Actifry and it will crisp up in the 'frying' process. Spray the Actifry with plenty of Fry Light and add your beef. Set the Actifry for 25 minutes and leave to cook. You may need to separate the beef strips with a fork occasionally. After 15 minutes, tip in your sliced peppers and chopped green beans into the Actifry and continue frying. To Make the Beef in the OvenPreheat your oven to 190 degrees. Slice your beef into thin strips and season with salt and pepper. Spray a baking tray with plenty of Fry Light. Add your flour to a bowl with the five spice if using it. Whisk your egg in a separate bowl and dip each strip of beef in the egg and then run it through the flour and place it on the tray. Once you've done this with each piece of beef, bake in the oven for 15 - 20 minutes or until crispy. 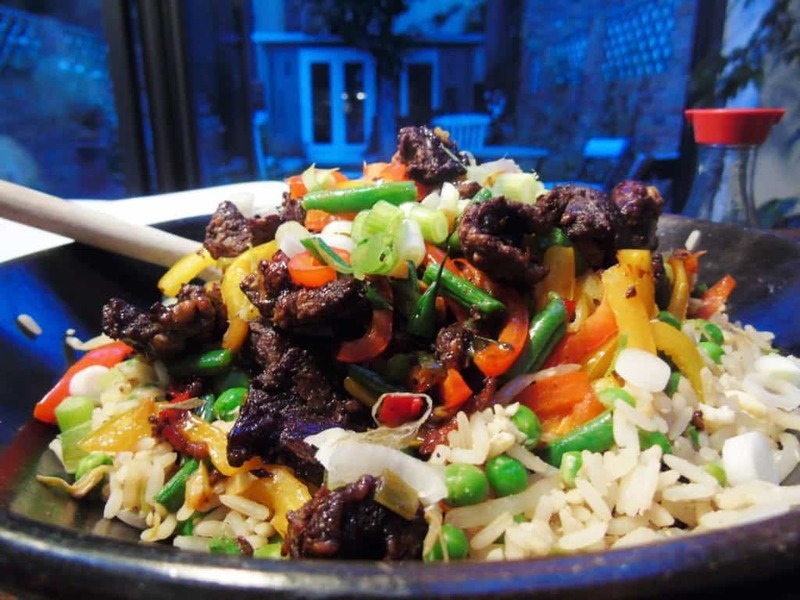 Cook your peppers and beans in a frying pan until done and set aside to stir into the beef at the end. To Finish the Beef (either cooking method)Whilst your beef is cooking, spray a small sauce pan with Fry Light on a high heat and add the chopped spring onions, garlic and chilli. Fry for 30 seconds and then add the beef stock, soy sauce and honey. Simmer until this begins to thicken up and go sticky. If cooking with the Actifry add the sauce 3 minutes before the end. If cooking in the oven, stir the beef in with the sauce and veg when cooked. 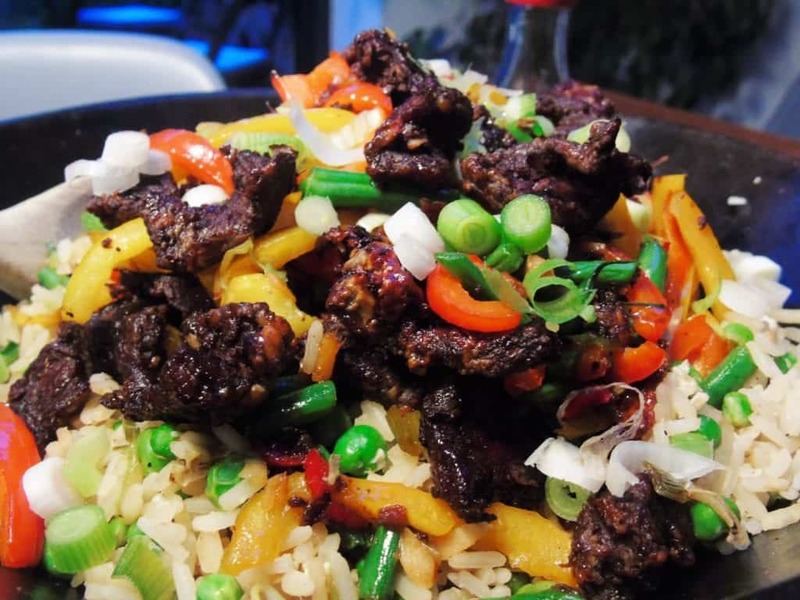 Serve with Syn Free Egg Fried Rice and garnish with spring onions. To Make the Egg Fried RiceCook the rice as per packet instructions. Set to one side. Spray a hot frying pan or wok with Fry Light and tip in your spring onions. Fry for 30 seconds and then add the frozen peas. After another 30 seconds tip in your soy sauce and cover to cook for a couple of minutes or until the peas are almost cooked through. This should happen pretty quickly. Add the rice and stir fry for a few minutes, add more soy sauce if you want to at this point. Briefly remove the rice from the wok (don't worry about getting it all out, you're putting it back in again) and crack the egg directly in. Whisk the egg straight away with a fork in the wok. Turn the wok around the flame to spread the egg out and cook it thinly. When the egg has just cooked, tip the rice back in and mix it all together. Remove and serve. *I was sent some of the products in this post to review, however all views and opinions are my own. I do not provide positive reviews to products that I don’t love! This looks fantastic. I have heard good things about the Actifry.